For over 70 years, Streb's Old Hickory hams have been locally famous in our rural community. A small, third-generation family business, Streb's specializes in locally raised meats, hickory smoked the traditional way (in a real smokehouse just a few miles from our store) for an unmistakably authentic flavor every time. Unsliced, boneless hams are fully cooked, so they're delicious served hot or cold. Each approx. 7-9 lb ham serves 10-15. Packed in natural juices with no water added. Shelf life in the refrigerator is 60 days as long as the shrink-wrap seal is not broken. May be frozen, but this could reduce the hickory-smoked flavor. Deliveries to USA only (including AK and HI). Note: Since this item is perishable, it will ship the Monday following the date the order was placed. This ensures delivery during the business week. Please call us with any questions: 1-800-438-5346. Hams ship directly from Lehman's in Dalton, Ohio in a styrofoam cold pack. Cold packs will maintain freshness five to seven days during shipping. Cured with water. Custom complete flavor base (salt, sugar, sodium tripolyphosphate, propylene glycol, monosodium glutamate, maple syrup concentrate, spice extractives, caramel color), sodium phosphate. Cure Mix: (Salt, sodium nitrate). Streb's Old-Fashioned Ham For over 70 years, Streb's Old Hickory hams have been locally famous in our rural community. A small, third-generation family business, Streb's specializes in locally raised meats, hickory smoked the traditional way (in a real smokehouse just a few miles from our store) for an unmistakably authentic flavor every time. We have wanted to try this ham since first coming across it at Lehmans. We cut it as ham "steaks" which may have been unwise. The flavor is great, the toughness is not, we are planning to cut the rest in thinner slices for sandwiches, which may make all the difference. i bought a ham after christmas and if this is the same ham it is the absolute best ham i ever bought and no waste. We decided to change Christmas Family Tradition and go for a smoked ham. After much looking around I settled on the Streb's Boneless Smoked Ham. It was by far the best ham we've ever eaten. Everyone in the family, except the vegetarian, can't wait to order another one. Great value. Fabulous piece of meat. 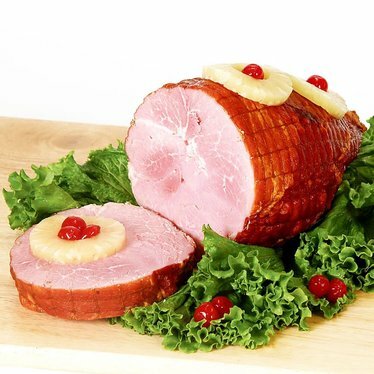 This review is short and sweet: Streb's ham is delicious!